WP-Page Builder is widely used to build an attractive and responsive page for the websites. It has a number of options that help you to design a page like what you needed and also helps to create a unique page for your site. In this article, We have listed Top 10 WordPress Page Builder plugins. Using page builder you can create a unique and attractive page on your website. It helps to bring more attention to customers and also increase the traffic to your site. Elementor Page Builder is a free WordPress Plugin which is used to build a page without any limits on design. It has advanced capabilities and can deliver high-end page designs. Page Builder by SiteOrigin is the most popular plugin which is used for creating a responsive page for WordPress. It helps you to create column-based content and it will be adapt to all mobile devices which ensures the site is mobile-ready. WordPress Page Builder by MotoPress is a free WordPress Plugin and it allows you to build responsive pages without coding. Simply use by dragging and dropping content elements and it is fully responsive. Check out MotoPress Content Editor Pro version which offers more features. WordPress Page Builder – Beaver Builder plugin allows you to design a page as easy by dragging and dropping the elements which work on the front end of your WordPress website. WPBakery Page Builder for WordPress is a premium WordPress plugin developed by wpbakery. It allows 2 types of editors to choose your preferred view. You can create your WordPress website with backend editor or move your page building process to frontend and see your results live. It also gives you the full control over responsiveness. Page Builder Sandwich is a free WordPress plugin which allows front-end editing, drag & drop, visual website builder that helps you to design your site and see your changes in real time. Cornerstone is a premium WordPress plugin which is developed by THEMECO. 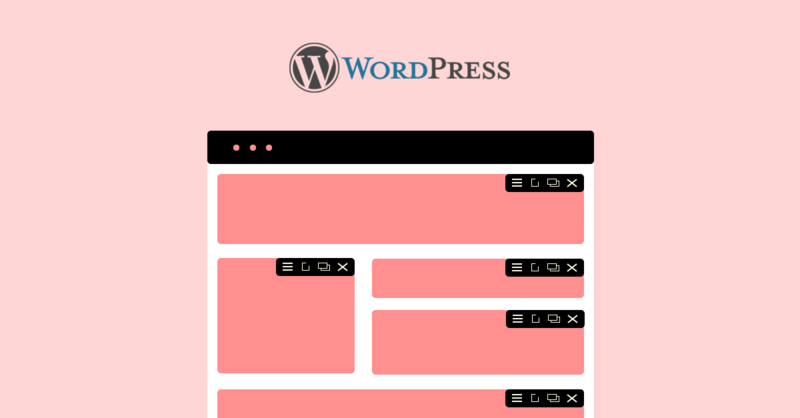 It is a front-end WordPress page builder. You can build a page like what you imagined for your website. Frontend Builder is a premium WordPress plugin developed by ShindiriStudio. It allows both frontend and backend option to design a page, also drag and drop options makes easy to build a page on quick time. Tailor Page Builder is a free WordPress plugin. It is a frontend page builder and allows drag and drop interface to design a page. Also, you can preview your layouts on different device sizes. Bold Page Builder plugin allows you to build your layouts in a very quick time with drag and drop features and with no coding experience. Also, you can use it freely in your commercial and non-commercial projects.